Tracking all the times I used transit continued in 2018. A tradition since 2014. This does not include my transit use on non-TTC systems. 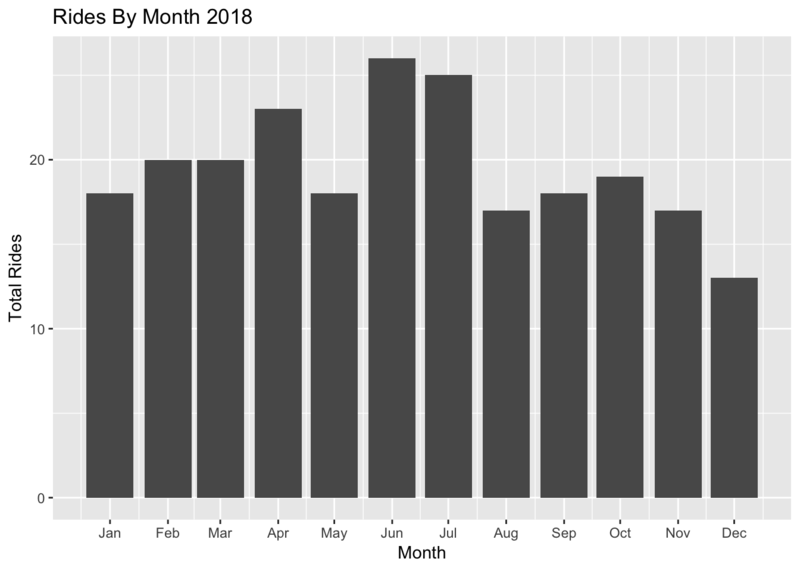 I took 234 rides in 2018. The only time I used tokens this year was to attend meetings at the airport. Two-hour transfers were introduced partway through the year so I’ve counted a “ride” whenever I would be charged if I tapped my Presto card or deposited a token before two-hour transfers. My rides were paid for using: Day Passes (4), Tokens (2), Presto (226), and other (2). Highest TTC use was on Sundays when I was going to axe throwing league for most of the year. I walk to/from work every day when I’m at my regular office so do not use the TTC most weekdays. 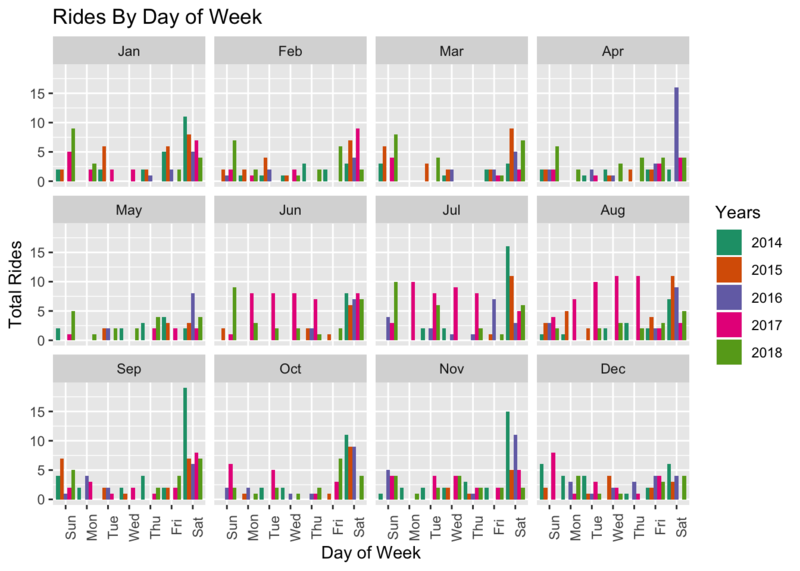 Total rides each month show when I branched out for walks further away. 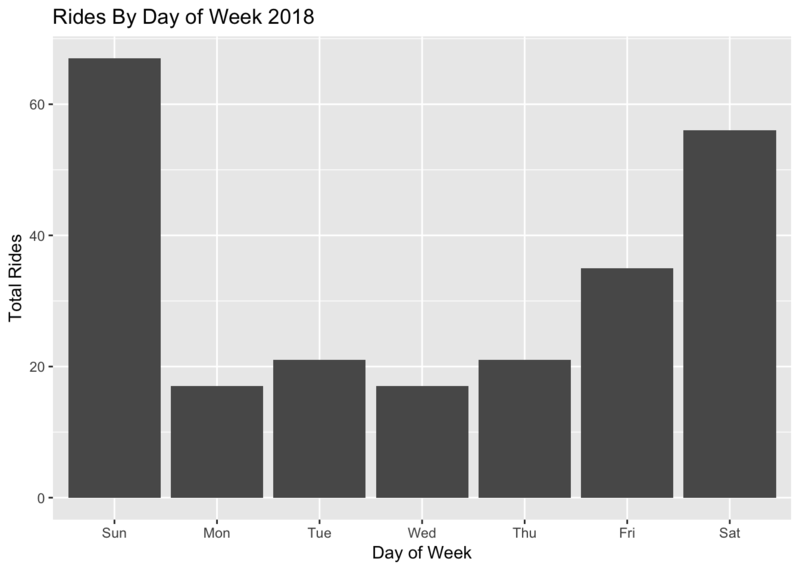 Splitting day of week usage out by month for the past five years highlights the low weekday pattern in my transit use, except for 2017 when I was seconded to the airport for the summer. Higher Sunday use in 2018 for the first 8 months of the year is visible. With Presto being the default for basically all my riding, the average cost of my rides is going up. I used the TTC for more personal riding than I have since 2014. I continue to have meetings at the airport so my work riding is still higher than it used to be before 2017.